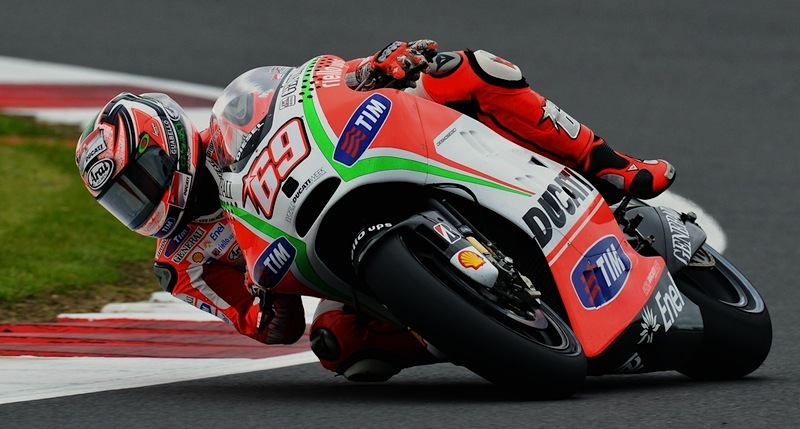 It is such a shame that this happened, he has done so much for Ducati as a business and for the race team. Nicky is such a class act about the whole ordeal as well. 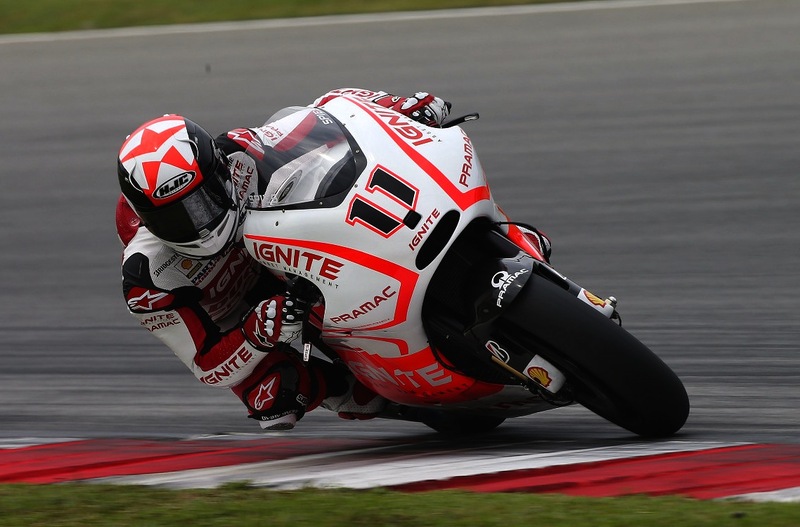 He is quoted as saying “I’m not coming back to Ducati in MotoGP. 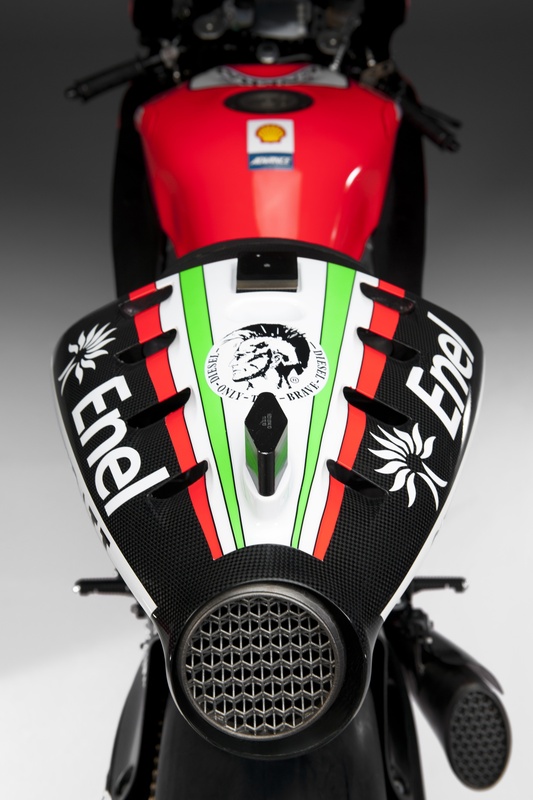 They’ve chosen to go a different way.” He was very stoic over the years, giving 100% to an under performing bike. 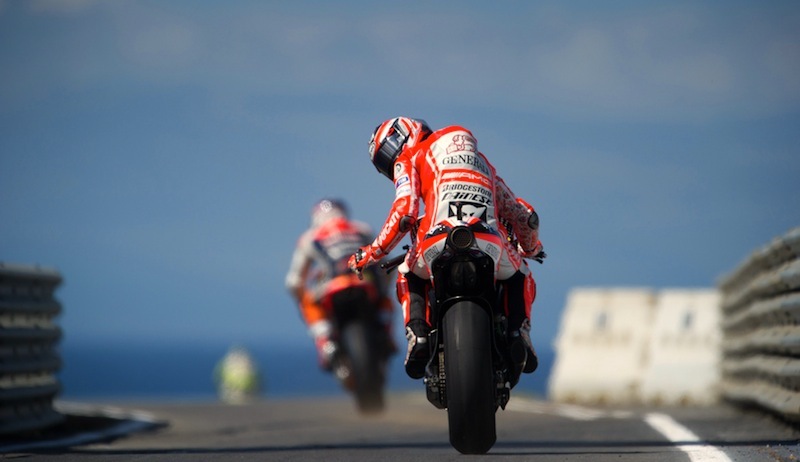 Besides only three podiums for Ducati since 2009, Nicky hasn’t been able to perform to his full potential. 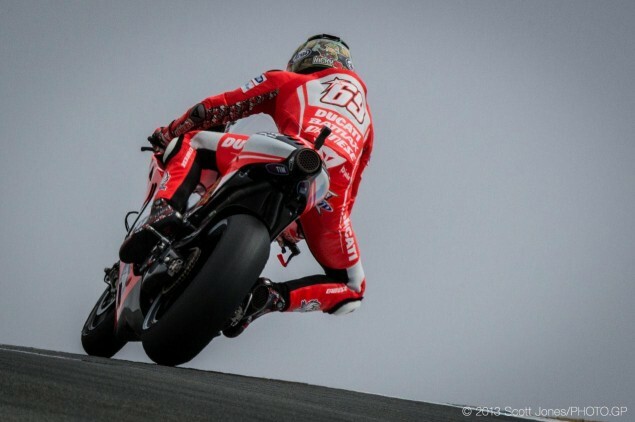 If Casey Stoner has said the bike is scrap and had to change his riding style, means the bike was bad. 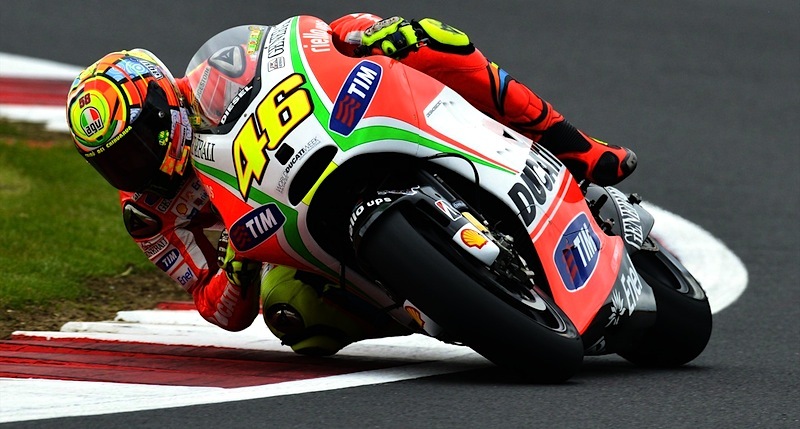 If Valentino Rossi, the greatest rider of all time, can’t get the bike to perform? Yeah, bad bike. 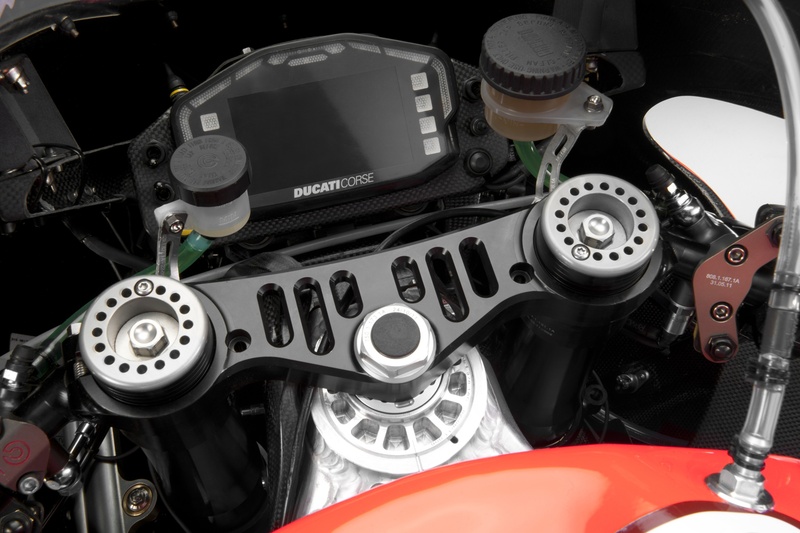 The biggest thing is everyone understands Ducati needs to sell bikes with different technology to stand out from the crowd. They don’t feel the need to differentiate between their race bikes and street bikes. 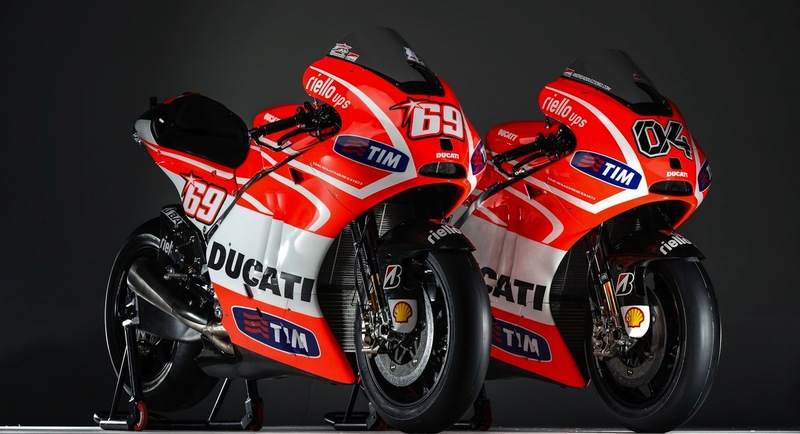 Nicky did a lot of work for the business side of Ducati in the States as well. He was a hard working loved all around PR machine with the brand. 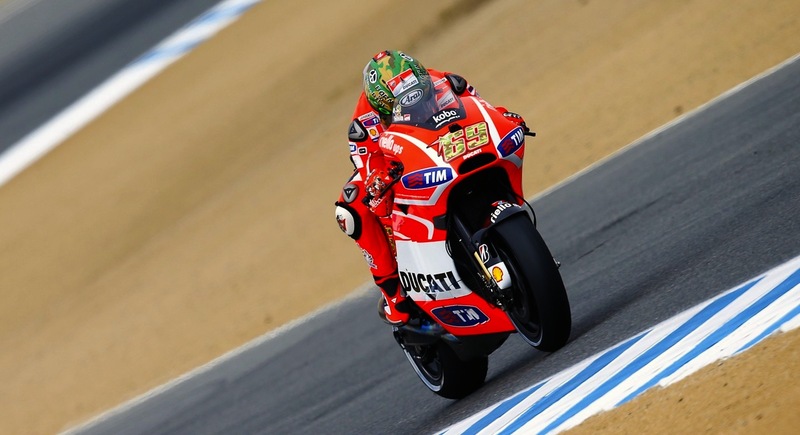 While he was with the team, the sales of Ducatis in the States overtook the sales in Italy. He is good for the brand, he’s never not given his all for the team. He’s just so genuine and has love for what he does, he’s a valued resource for any team, but the sad reality is. He’s not willing to let himself go to a CRT ride or a satellite ride. He knows what he’s worth but he’s humble about it, even with his pride. What’s there for Nicky to do? 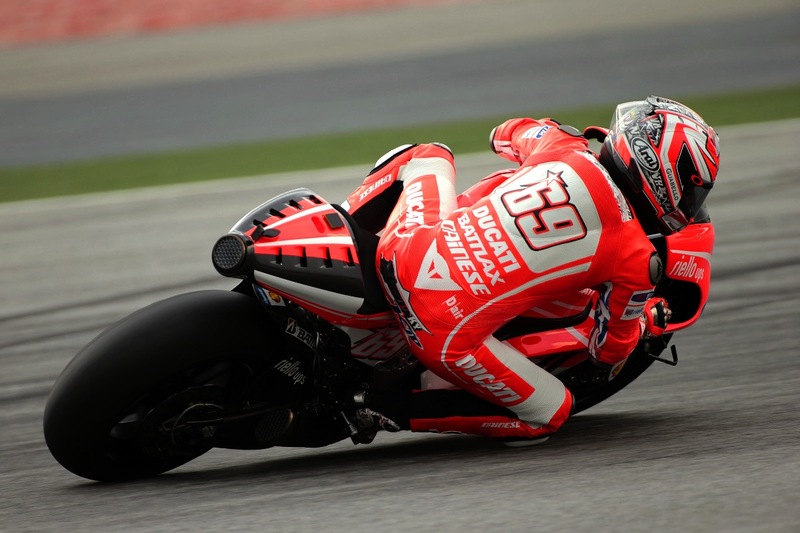 The only real option is World Superbike, drop him on one of those machines, he’s going to shine even brighter than he did in MotoGP. 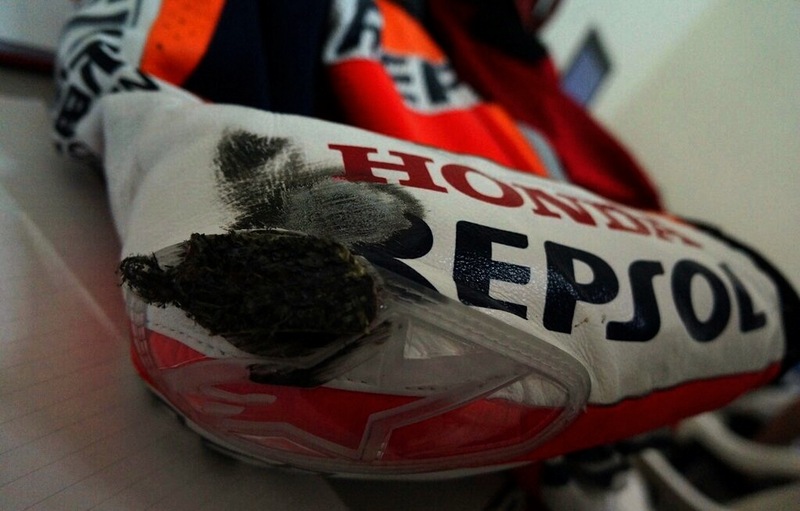 But that’s for Nicky to decide, he may just retire, never have been able to show his full and real potential on an equal bike with the exception for that magical championship winning year in 2006. This season is about to get very real. A vicious youngster with Marc Marquez at Repsol Honda, Valentino is back on his Yamaha, and Spies gets a bike that he can ring it’s neck out. 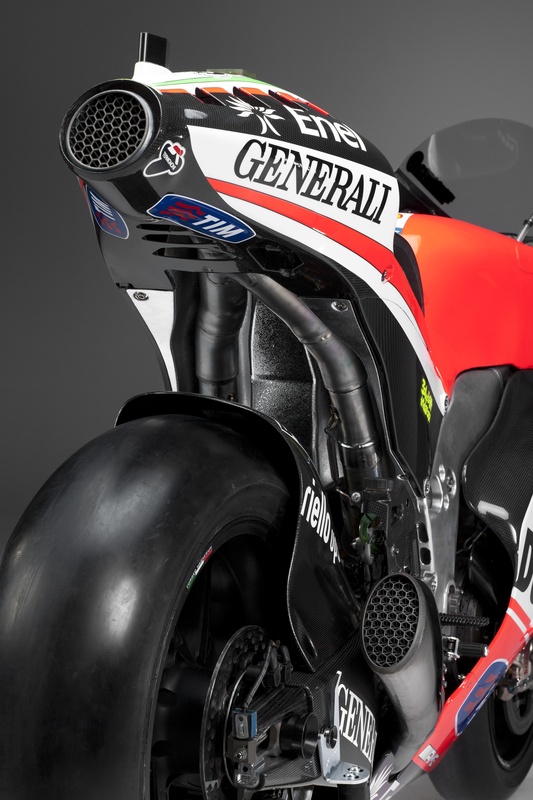 The GP12 is finally here! After spending part of last season pulling a chapter out of Ferrari’s book. 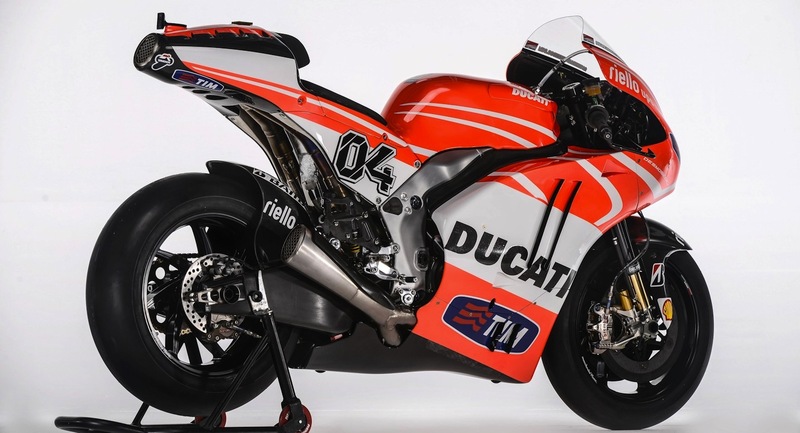 Ducati have finally brought the GP12 to light in full race spec and livery. 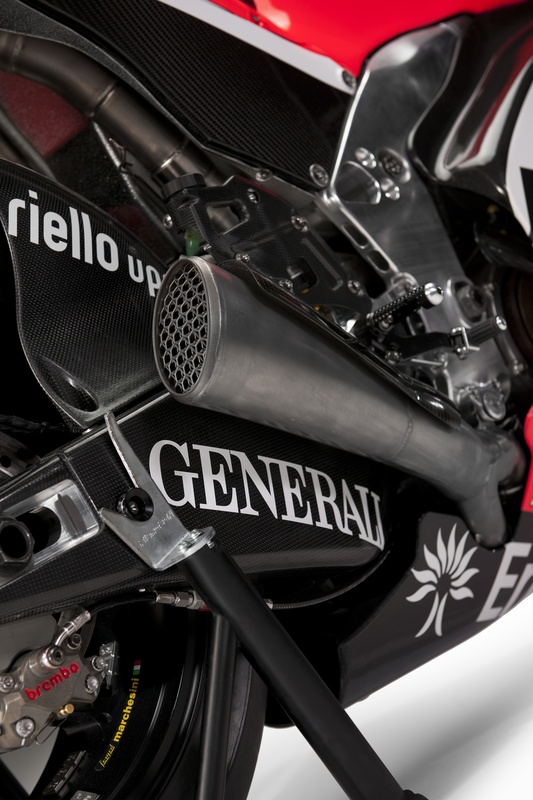 Will this new MotogGP fighter be one where Rossi and Nicky can finally start fighting for first place finishes and not just podiums? 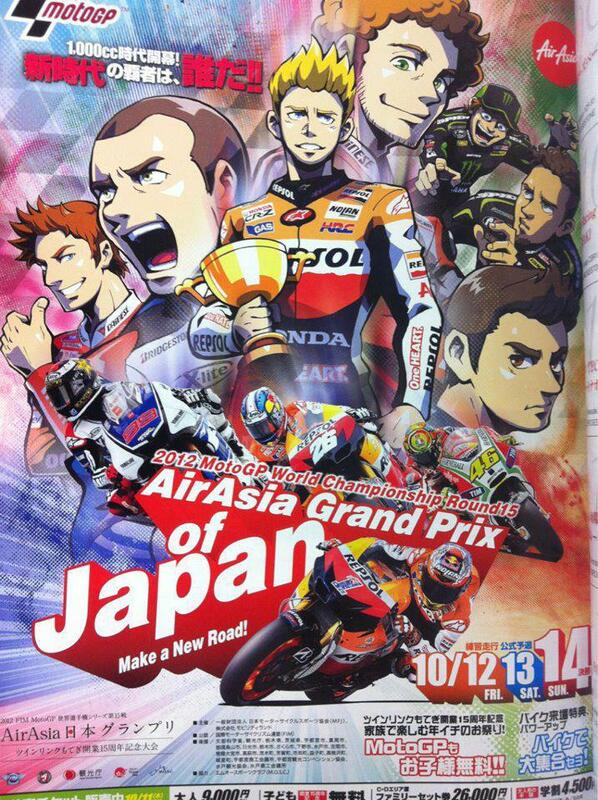 The 1000s are back this year and let’s hope it gives Rossi and Nicky an edge on the competition. 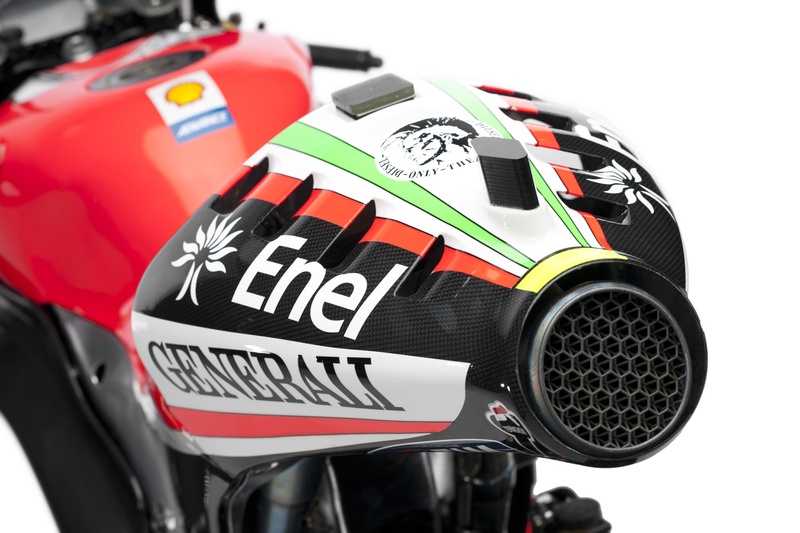 Here you can see that Ducati have gotten closer to the times again and brought in the conventional dual exhaust lay out. One pipe for the front bank of cylinders, the other pipe for the rear bank of cylinders of course. Duals throwing flames anyone? That battle axes ready and waiting for their men to use them as their destined to. 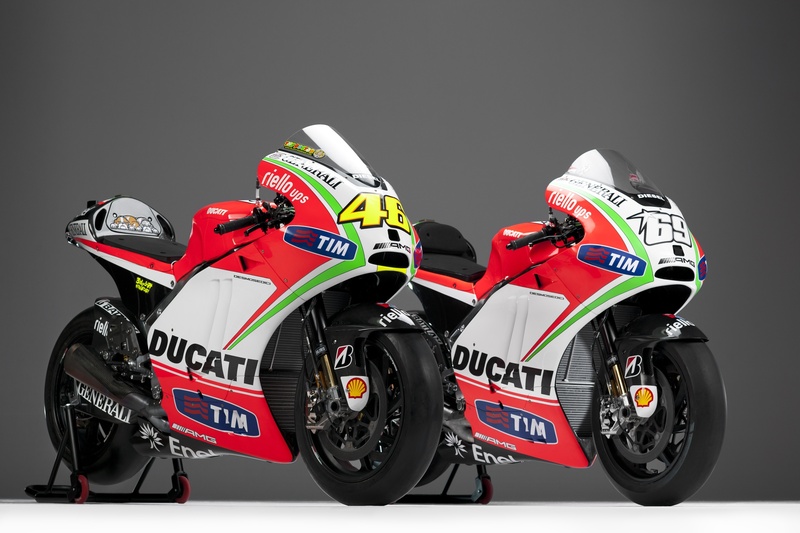 I like the subtle differences between Rossi’s bike to Nicky’s. 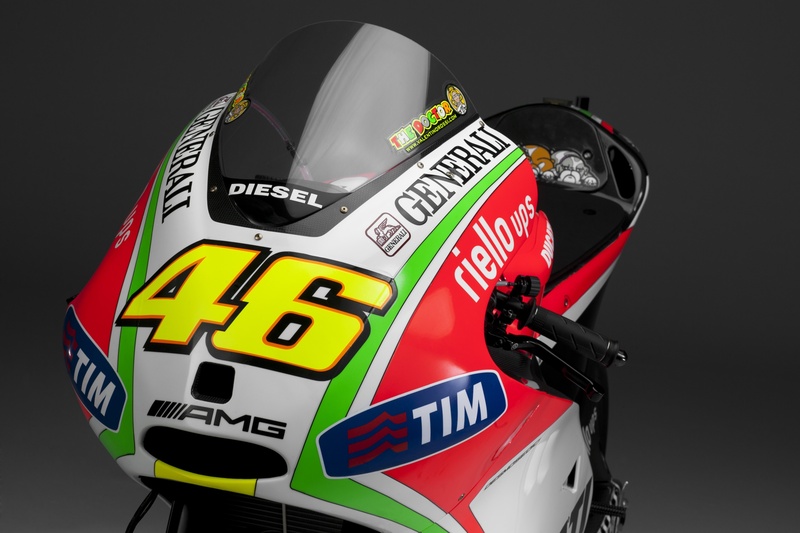 Of course you have Rossi’s signature “The Doctor” logo on his windscreen and Nicky has his mark on his. 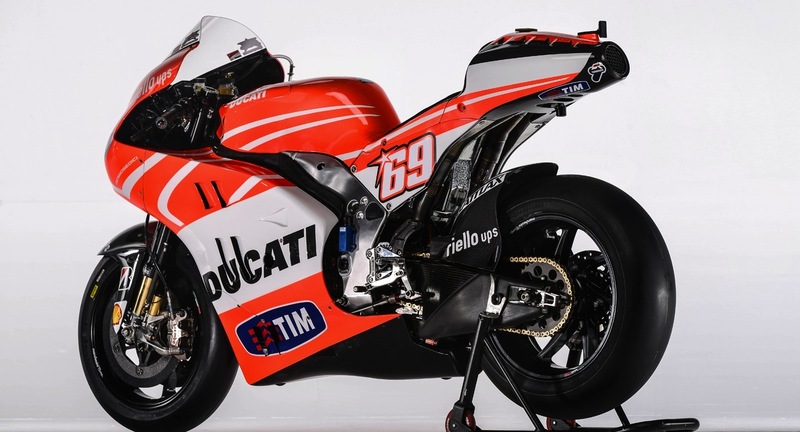 The real interesting part is the rest on the tail fairing for Nicky, he doesn’t move around around the bike as much and he isn’t as lanky. While Rossi has his dogs instead of the rest, which is a tribute to puppy that has passed, and his current one as well. Note the other subtle differences between the two. Rossi’s use of his favorite color yellow. 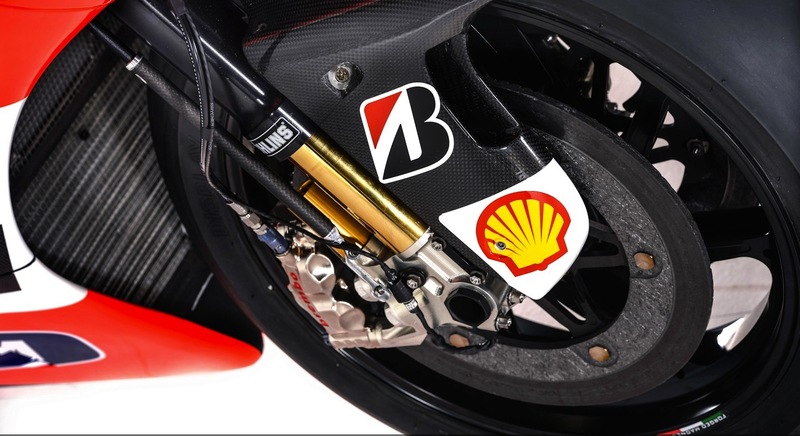 Slight accents here and there about the bikes to further define their differences. Nicky Hayden in a DTM car? Perks of the job, once again, I saw perks of the job! 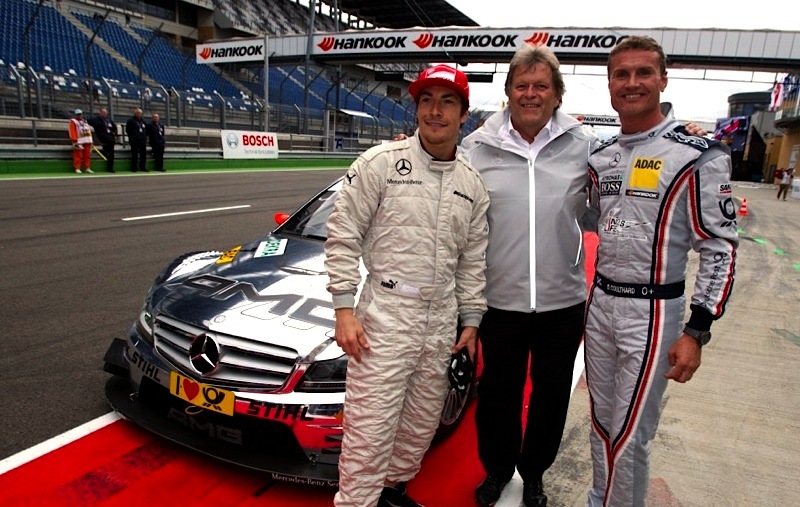 Ducati and AMG’s pairing lets Nicky climb into David Coulthard’s DTM car. Perks of the job I guess.